When families or friends gather around pools, mosquitoes tend to follow–so finding a way to repel mosquitoes is a necessary part of entertaining outdoors. 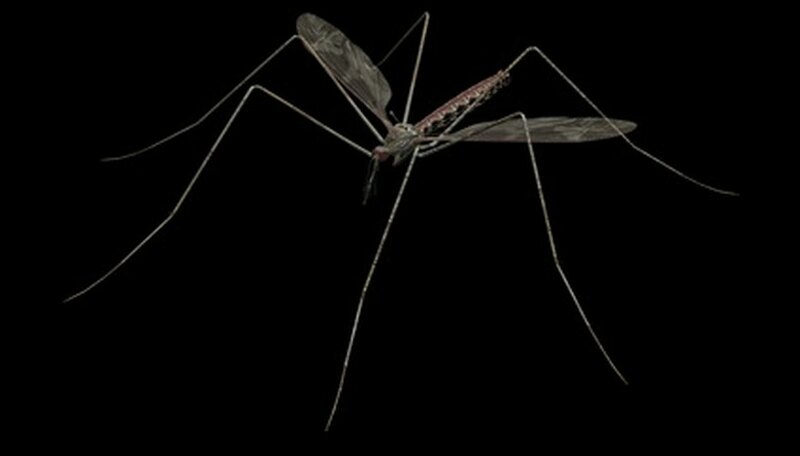 Mosquitoes not only are irritating, but they also are carriers of disease. According to Dr. Mark S. Fradin writing in the Annals of Internal Medicine, DEET is the most effective insect repellent on the market. There are many types of insect repellents, and you may be confused when trying to determine which is the most effective against mosquitoes. According to the “New England Journal of Medicine,” products containing DEET (N,N-diethyl-m-toluamide or N,N-diethly-3-methyl-benzamide) offer longer protection than other botanical or synthetic repellents. Formulas that are more concentrated offer more protection than diluted formulas. DEET has been sold in the United States since 1956 and is contained in sprays such as Off, Ultrathon and Cutter. DEET repels not only mosquitoes but also gnats, ticks, horseflies and other pests. Mosquito repellents containing DEET are sold as sprays, lotions, aerosols, sticks and soaps. More expensive products tend to contain a higher percentage of DEET. Camping and outdoor supply stores usually carry products that have the highest concentration of this chemical. DEET is most effective when applied directly to the exposed skin. According to the American Academy of Pediatrics, DEET should not be used on children under the age of 2 months. It should not be used on the hands of young children, and it should not be used around the eyes or mouth. The Centers for Disease Control and Prevention also recommends alternatives to DEET. Picaridin, another active ingredient that repels mosquitoes, has been available since 2001. It is the ingredient contained in Skin So Soft Bug Guard Plus and Cutter Advanced. Oil of lemon eucalyptus also may provide protection from mosquitoes; it is an ingredient in Repel. There are other things to keep in mind when dealing mosquitoes around pool areas. Standing water is a breeding ground for mosquitoes. Pools that are disinfected and filtered don’t breed mosquitoes, but it is important that before and after swimming, the pool cover is secured so that mosquitoes can’t access the water. Any water on top of the pool cover should be drained at least once a week. Any other standing water in your yard should also be eliminated, such as kiddie pools or bird baths.